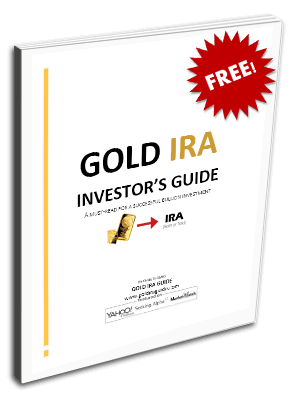 Gold IRA GuideGold Is Uncertainty keeping gold prices stable? Is Uncertainty keeping gold prices stable? While the US economy appears to be firing on more cylinders, the story around the world sounds quite different. Oil producing countries are trying to adjust to a world in which a barrel of crude is worth less than $50. Deflation is becoming a frighteningly real prospect in many countries around the world. Meanwhile, the Greek electorate chose a new left-wing government that is strictly anti-austerity, and has reignited talk of the Grexit. The Grexit, short for Greece exiting the Euro, would have serious consequences for other Euro nations as well as Greece. All of these possible changes, have the potential of making this a very good time to invest in gold. Times of uncertainty underscore gold’s role as in a well diversified portfolio. We saw this in the mid 1970s, when gold prices shot up from around $500 in 1976, to close to $1,800 in 1980 as a reaction to the OPEC oil embargo. We observed this again following the recent recession – gold rose from around $750 in 2007 to close to $1,700 in 2011. Currently, we see many of the signs that have in the past caused gold prices to fall – lower interest rates, lower inflation, and lower oil prices. Previously, either one could have brought about a fall in gold. Today, we have all three and yet gold prices are still hovering around $1,200 to $1,300. Let’s take a closer look at the uncertainty we are facing today. Falling oil prices are hurting petroleum producers such as Russia, Venezuela, Nigeria, Canada and those in Northern Africa and the Gulf. Russia’s currency is in a free fall and the economy is in real danger. Canada, where oil sand extraction is expensive and reliant on high oil prices, saw its central bank lower interest rates in order to deal with the very real risk of deflation. Venezuela, on the other hand, will likely experience high inflation as the government is expected to react to lower revenues by starting up the printing presses. Nigeria is dealing with an election and fighting the terrorist group Boko Haram. The country also relies on oil for 80 percent of its revenue. Wealthy petroleum states such as Saudi Arabia and the UAE reacted to the Arab Spring by increasing social spending across the board. Lower oil revenues will force them to either cut back on social programs, or run deficits. Saudi Arabia is very inefficient with its petroleum consumption and despite having the biggest oil reserves in the world, it is projected to become a net importer by 2030. Canada’s central bank lowered its trend setting overnight rate from 1 percent to 0.75 percent in late January on the news that the country’s inflation had fallen from 2 percent to 1.5 percent. The Australian reserve bank cut its rate to the historic low of 2.25 percent. Australia’s inflation had fallen from 2.2 percent in November to 1.5 percent in December. Other countries rate cuts include India, Turkey, Egypt, Denmark, Albania, Pakistan, Peru and Romania. China’s central bank meanwhile made system wide changes to bank reserve requirements – which will unleash a flood of money into the Chinese economy. The European Central Bank, reacting to a variety of issues on the continent, announced major quantitative easing by buying $68 billion worth of bonds every month for a year. All of these moves are made to spur on weak domestic growth. The election in Greece took place on January 25th and Alexis Tsipras and his left-wing party Syriza, which had run on an anti-austerity platform, won with just two seats short of a majority. The government is said to run out of funds by the end of February, and will have to fall back on social security funds before it will completely run out of money by the end of March. Once that happens, the newly formed Greek government will have two options: take a loan from the ECB under conditions it repeatedly said it would never accept, or abandon the Euro. A disorderly exit from the Euro would likely trigger a sharp fall in euro zone stocks, an increase in the cost of borrowing for other Euro countries, and a recession that will rival the one we just saw. There are major changes afoot and the economists at central banks around the world are making adjustments to ease the fall. Most developed economies around the world had never really gotten out of the great recession that hit them in late 2007 – they are now once again dealing with stalling growth. China’s economic engine is sputtering and Greece is about to set something in motion that could see it expelled from the Euro currency union. All of these developments are causing great uncertainty in today’s markets. Prior to the election in Greece, gold funds saw their biggest weekly inflow of deposits since the fourth quarter of 2011. 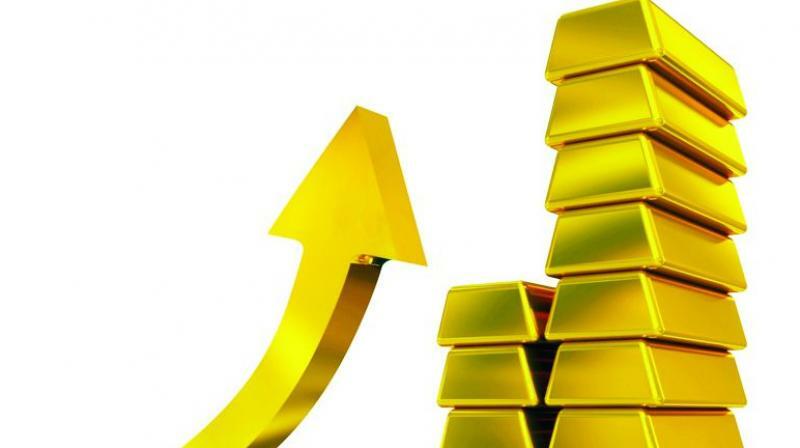 At the moment we have all the ingredients that usually lead to lower gold price – low interest rates, low oil prices, and low inflation – yet there has been no major decline, likely because there is a lot of uncertainty out there that increases the attractiveness of the safety of gold. If Greece were to exit the Euro, the resultant chaos and recessions among many European economies would push people into gold. Even if that doesn't happen, once the actions taken by central bankers around the world lead to the desired consequences, we will have higher interest rates again (which generally lead to higher gold prices) and we will also have higher inflation (leading to higher gold prices). The current oil prices will eventually go back up, and rising oil prices are often accompanied by increasing gold prices. Gold represents an outstanding buying opportunity for long-term retirement savers right now. Holding a portion of your portfolio in a self-directed Gold IRA gives you a safe and tax-advantaged way to ride out uncertainty in the markets. Peter Fast is a financial analyst that specializes in Macroeconomic trends and market analysis. He obtained a degree in Economics from the University of Manitoba in Winnipeg, Canada. He subsequently worked in the finance industry for many years. His writing has been featured in several online and print financial publications.